Product prices and availability are accurate as of 2019-04-22 03:19:17 UTC and are subject to change. Any price and availability information displayed on http://www.amazon.com/ at the time of purchase will apply to the purchase of this product. WowWee REV Deluxe has become one of the most highly advanced additions to the list of robotic enhanced vehicles (REV) using A.I. technology (Artificial Intelligence). 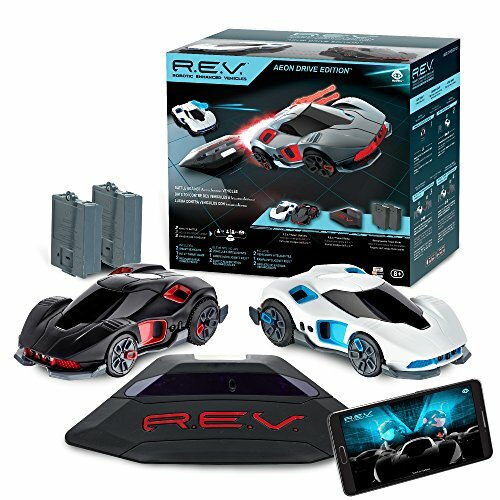 These impressive REV - Robotic Enhanced Vehicles, are app-enabled and perfectly built to offer you a new era of speed and battle games. Moreover, the long-anticipated WowWee REV Deluxe provides unsurpassed multiplayer and AI battle experience. If you are among the Robot lovers, or even if you are crazy about battle and speed games, these high-tech robot cars will be a perfect fit for you. Its advanced technology allows you to control and play this game in the real-world and enjoy a seamless gaming experience. And obviously, it supports a multiplayer game, so you can invite your friends to join, make them your opponents, and instantly experience the thrilling real-world game play. The official WowWee website recommends this game for kids 8 to 15 years of age. 1.The impressive REV car has enough punch and potential that can definitely elevate your gaming experience with A.I technology. 2. 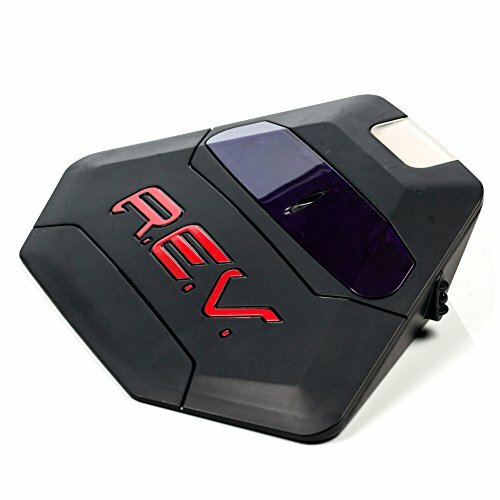 WowWee REV Deluxe has some completely new and striking features, which aren't available with other existing REV models. 3. This powerful robot car is completely app-based. You will control your REV cars from your portable gadgets i.e. any Bluetooth-enabled smartphones or tablets. 4. 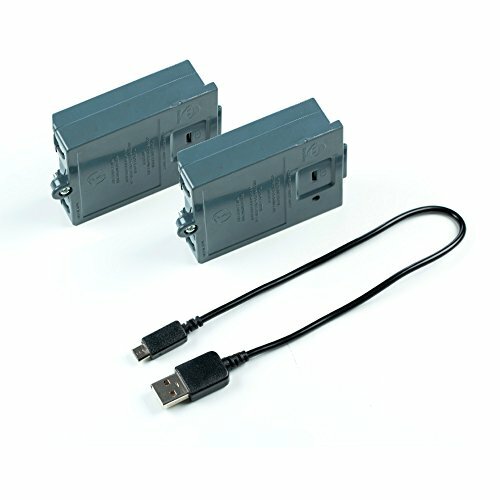 The kit includes 2 cars and recharge kit. Each vehicle is outfitted with BeaconSense technology, a proprietary indoor GPS system that enables them to sense their surroundings and navigate accordingly. 5. REV does not require a special surface or mat to play on, and up to 16 different vehicles can enter the game at any time. Each REV Starter Kit comes with two specially-equipped vehicles; just download the free app and jump into the driver seat, while setting the second REV to AI Mode. Square off against your REV opponent in multiple game modes like Survival, Arena, Capture the Flag, and more! Well, this amazing robot car doesn't have any significant flaws. It is geared toward tweens and teenagers so younger children may find the intricacy of it all a bit challenging. It's certainly not cheap but in its road play it is completely unique and this innovation makes it value for money in our opinion. Keep in mind, there are two Robotic Enhanced Vehicles in each pack for out-of-box action. WowWee REV Deluxe brings a new dimension to your battlefield. This model combines all the latest technologies of advanced battle-games to present you with a sheer real-time gaming experience. Whether you are a game lover or not, you will be surely impressed with the striking features and advanced technology. Be careful...Intelligence can be dangerous! Unsurpassed multiplayer and AI battle experience.